Choosing a green-cleaning company with experience and knowledge makes all the difference in the world. When choosing a company to do house cleaning for you, it is important to know the difference between good, great and adequate. Add in the factor of using truly natural products along with green cleaning products and this makes it a completely new ballgame. Without the proper know how, green cleaning and natural cleaning products can be in-effective so it is very important that you deal with an Ottawa home cleaning company that specialized in green and natural cleaning products and methodology. Simply put, we believe we are the best maid service Ottawa has ever experienced. Our company has created natural cleaning products that include purified water, essential oils, borax, castile soap, along with other safe and non-toxic substances that are also hypo-allergenic. These products are especially important for families with children, elderly, individuals with compromised immune systems and of course pets! The old adage of “if it’s green it ain’t clean” is dead and buried in these times of environmentally friendly movements. It’s not only better for the environment, it’s better for one’s health and well-being. 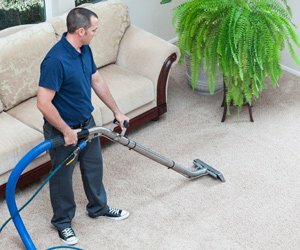 When it comes to hiring a cleaning company in Ottawa with the vast knowledge in the eco-friendly niche, Enviropure has the experience and technical knowledge to do it right. In addition we also have the best cleaning staff bar none! Our intensive training program that every employee undergoes allows them to work in absolute confidence and competence. All teams of cleaners also has a team leader who is in charge of quality control and spot checks every residence. This ensures that any misses that can happen, (we are good but nobody’s perfect) are caught and fixed before the team leaves the client’s home. Before scheduling a regular client, we usually recommend a consultation for us to view your property and establish the needs as well as expectations and fine tune the cleaning program that is completely customized to your home. This allows us to have a much fuller view of the scope of your cleaning and allows you to get to know us too! The consultation is absolutely free, with no obligation. It just allows both the client and company to be on the same page and virtually guarantees that both parties have an excellent relationship and experience. Our famous carpet cleaning. 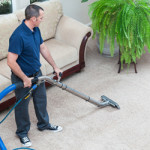 ECO-PRO offers the leading carpet cleaning service in Ottawa. Again we use non-toxic green products and we are also the exclusive supplier of GREENGUARD which is the world’s first Green carpet protector. Far superior than scotch guard in many ways, green guard is completely safe for your family and pets. Say good-bye to the nasty discolored tile and grout in your kitchen, bathrooms and showers with our expert tile and grout cleaning services. Our meticulous cleaning along with the top of the industry equipment and training will ensure excellent results and a shockingly beautiful transformation. We are not just cleaning the tile and grout, we are actually restoring it. After the cleaning process we apply a clear sealant to the grout so that it won’t be porous and will be super easy to maintain. Having your furniture and upholstery cleaned is a very good step in ensuring that your beautiful and expensive furnishings remain clean looking and will add years to their lifespan. Our method of cleaning included a unique method that no other company in the Ottawa area does or has the training for. It is a hybrid method of encapsulation and steam cleaning. This allows for deep cleaning and faster drying times. We also add an natural deodorizer which leaves your upholstery smelling fresh and clean.